A Forgotten power module for the Golem Guardian Trap. This unit generates a Golem Guardian that remembers every single one of the Great Winter Hunts when you forgot to come visit! 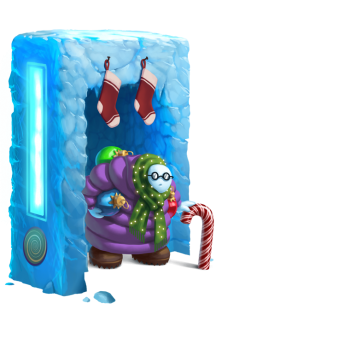 11 December 2018: The Golem Guardian Forgotten Skin Module was released as part of the Great Winter Hunt 2018. This page was last edited on 6 February 2019, at 15:26.